Recently my doctor told me that I may be at risk of getting diabetes and should work towards losing some weight but that has always been an uphill battle for me. Despite my trying to eat a very healthy diet and take regular exercise, I haven’t been able to lose any weight. The trouble stems from my asthma medications and since I absolutely need to breathe, I can’t stop those! Other than the darn diabetes, I have been feeling run down and suffer from constant muscle and joint pain. 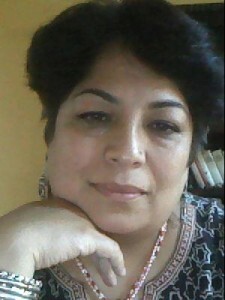 Part of it must be my age (I am nearing 50) but some part of it remains a mystery to me…I have been wondering if stress is the cause or if I have some underlying condition that I am not aware of. Apparently a lot of women go through what I am going through and some have resorted to detoxing diets and some have gone on this whole juicing trend. I still haven’t tried any of these and frankly I have no willpower and I ABSOLUTELY LOVE FOOD…so dieting of any kind is totally out for a wimp like me. Recently, a friend of mine suggested that I should try going gluten-free for a week and see if that helps. At this point (even though I am a total bread lover), I am willing to try this – this is doable! So yesterday marked the start of my experimental week to see if my going off all wheat products could help with my constant fatigue and joint pain. I know people deal with serious issues like Celiac’s disease and my general symptoms of gastric discomfort, lethargy and slight pain are not that serious but they certainly are very inconvenient. Going off wheat is something that will take some thinking on my part. I eat pretty much everything but I don’t like to rely on a heavy load of meaty proteins and if I eat only vegetables and fruit, I get hungry very often. For this week, I may have to rely on Beans or Quinoa to feel full. Of course, being quite stubborn, I won’t compromise on taste either. So today’s experiment involved using Black Chickpeas. 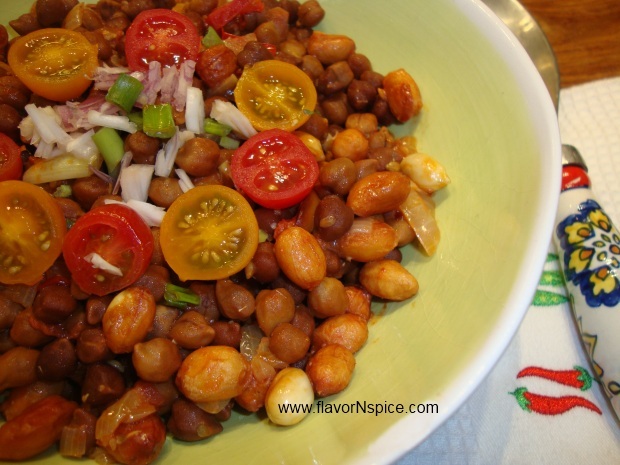 Most people in the US haven’t heard of this bean but in India, we use it very often (for more on this legume check out – http://en.wikipedia.org/wiki/Chickpea ). 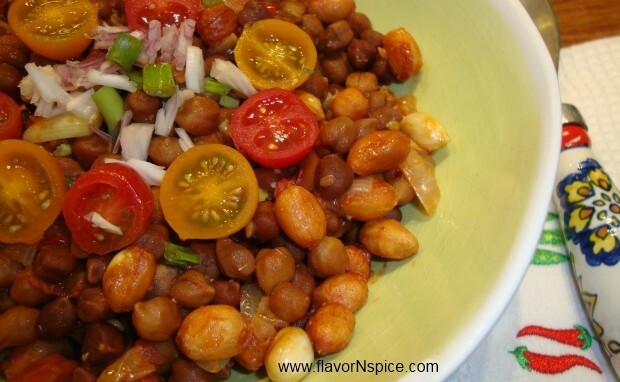 Nutritionally, this bean is known to be very loaded (check out – http://www.organicfacts.net/nutrition-facts/pulses/nutritional-value-of-chickpeas-and-black-gram.html ) and since I combined it with roasted peanuts, it made for a very satisfying meal! I added raw tomatoes, chopped red onions and cucumbers to it and that balanced out the meal very well and tasted great! So for today, my goal of a non-gluten diet has been quite easy to accomplish! 1. 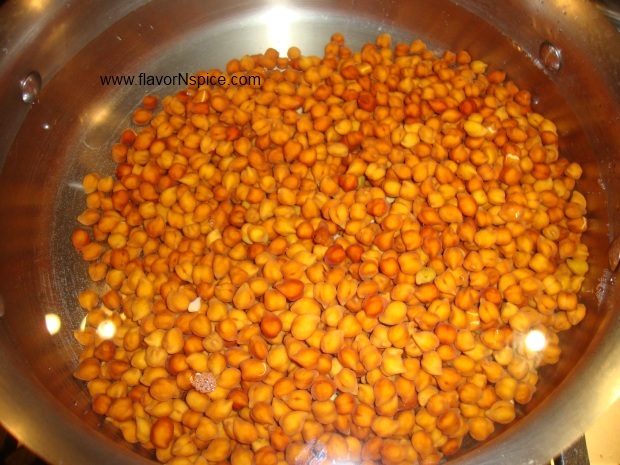 Soak the chickpeas in a large container of water overnight. 2. The next day drain the water out of the container and wash the chickpeas under a stream of cold water for 10-15 seconds. 3. 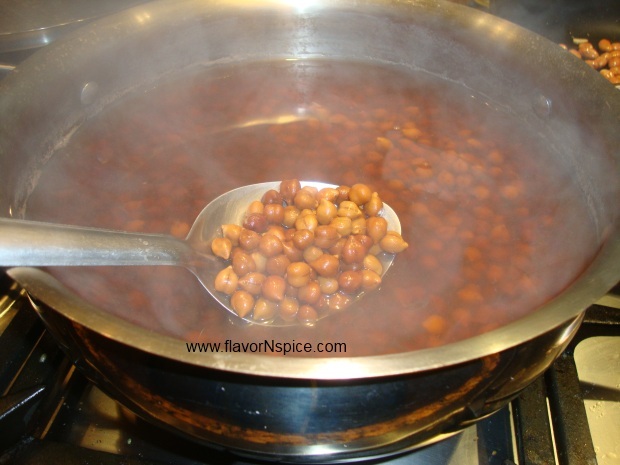 Heat 4-5 cups of water in a large pot and pour the chickpeas into it and let them boil over low to medium heat for about half an hour (or until they are soft). 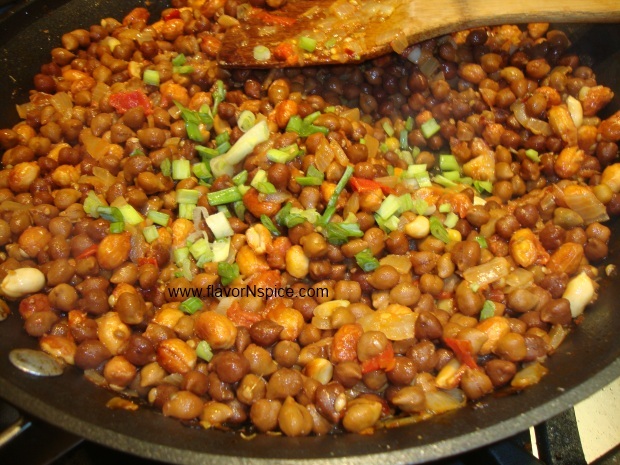 Add a little bit of salt to this water so that the chickpeas can get seasoned during the process of cooking. 4. 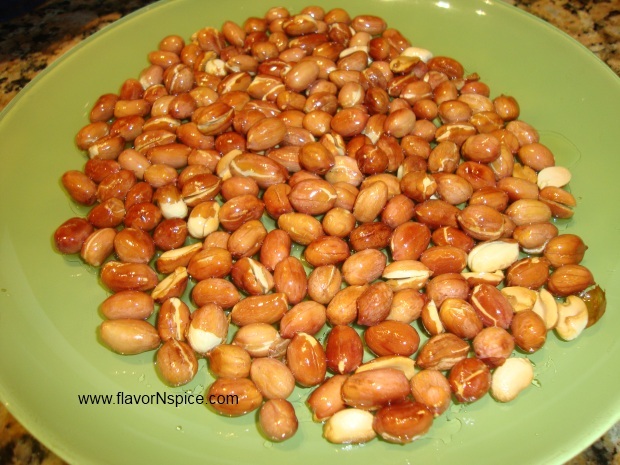 If you are using raw peanuts, you will need to roast them. 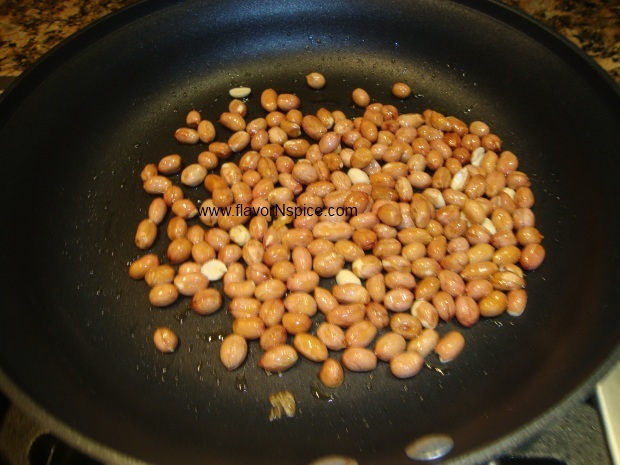 So while the chickpeas are getting cooked, you can roast the peanuts on a nonstick pan with ½ tablespoon of olive oil. 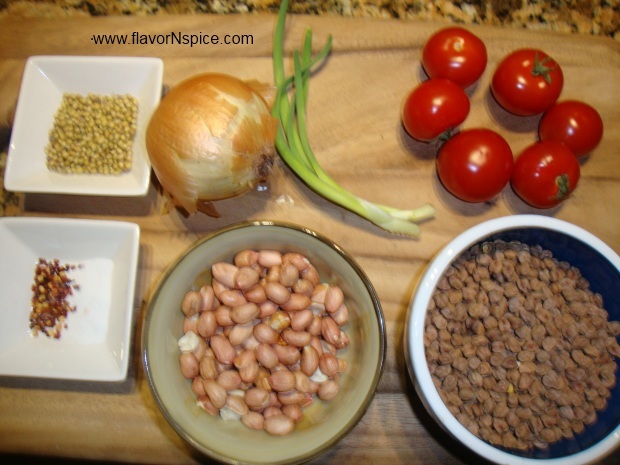 Roast these over low heat and keep stirring them frequently so that they get cooked evenly on all the sides. 5. 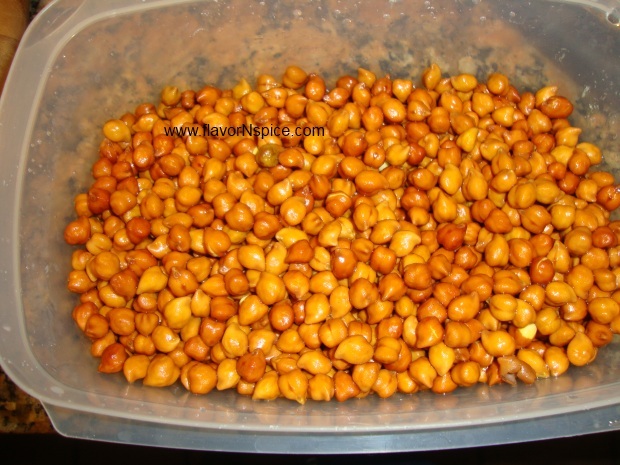 When the peanuts are down, place them in a plate and let them cool down. They get crunchy when they cool down. 6. Chop the onion into small pieces. 7. 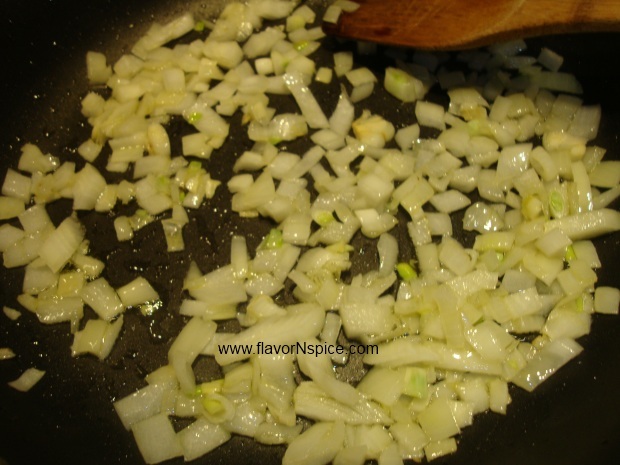 Heat the remaining amount of olive oil in a pan and pour the onions into it. Stir frequently. 8. While the onions are getting done, chop the tomatoes. 9. 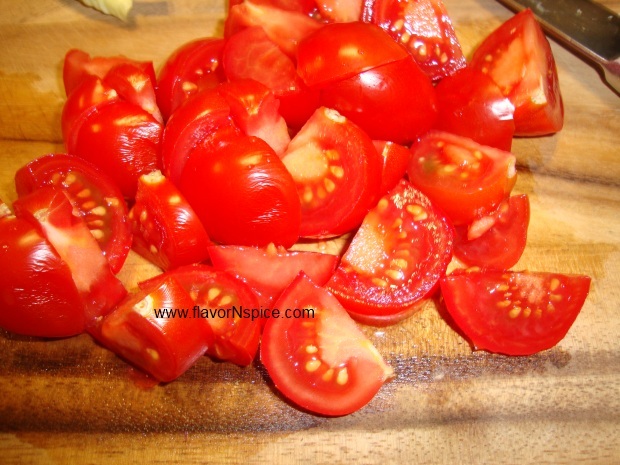 When the onions are translucent, add the tomatoes to the pan and let them cook for about 3-4 minutes. Stir frequently. 10. 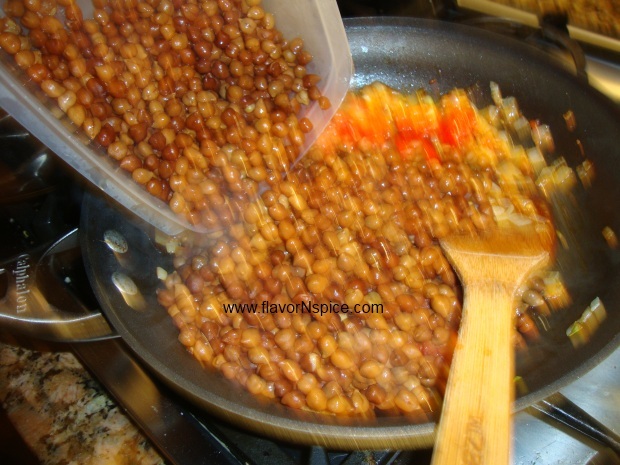 Drain the water out of the Black chickpeas and add the chickpeas to the pan containing the cooked onions and tomatoes. Stir. 11. Add salt and a little bit of sugar and stir. 12. Coarsely Grind the coriander seeds in a spice grinder and add them to the pan. 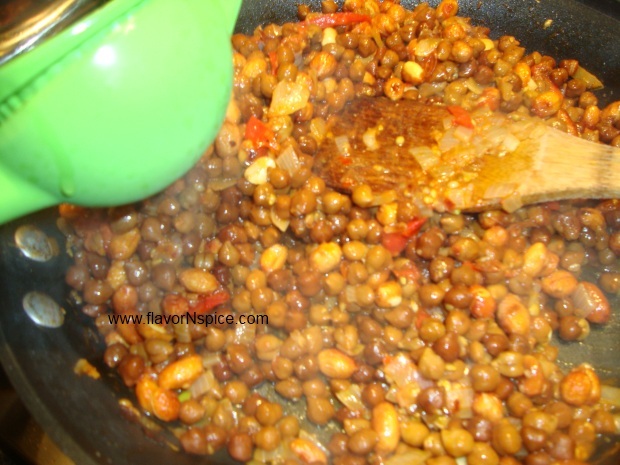 Continue cooking over low heat and stir frequently. 13. Also add the red pepper flakes and stir. 14. 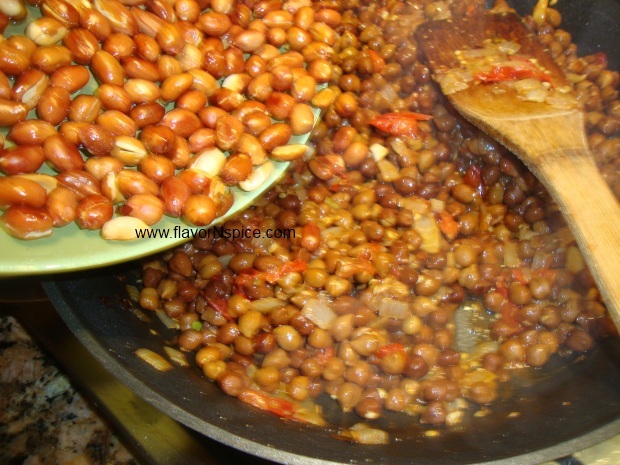 Add the peanuts to the pan and stir. 15. At the very end add the juice of one lemon and stir again. Take the pan off the heat. 16. 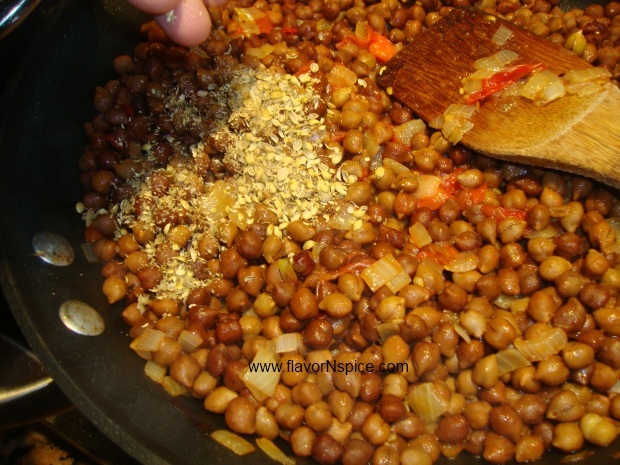 Serve while the chickpeas are still hot or at room temperature. 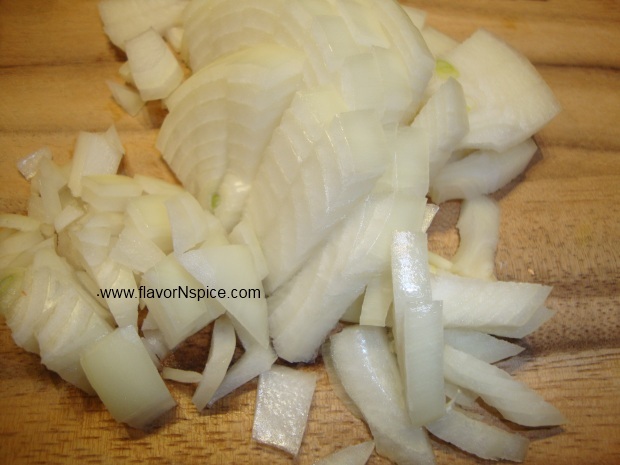 Garnish with chopped green onion, some chopped red onion and ripe tomatoes. This makes for a healthy snack or a filling one bowl dish for a yummy, healthy and nutritionally balanced meal! Thanks for the feedback Lorien!!!! I am so glad you liked it 🙂 I hope you’ll try some of my other recipes too!!!! Have a wonderful day! You sound like you have a thyroid problem? This would explain the joint pain and tiredness and no weight loss.